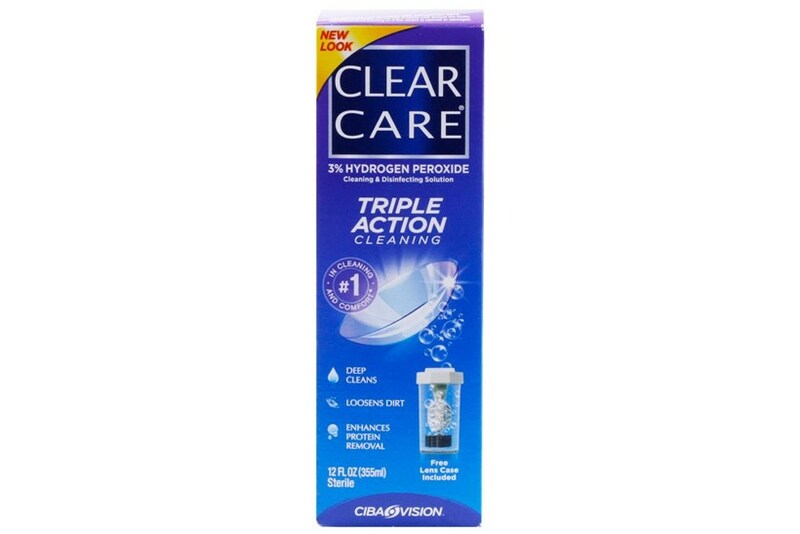 Clear Care Cleaning & Disinfecting Solution actively cleans, disinfects and removes protein deposits while your lenses sit inside their case. 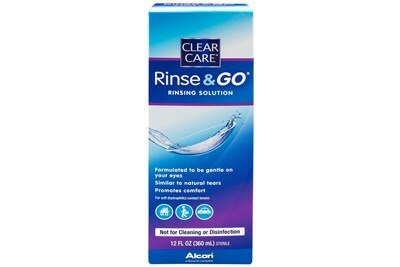 In a clinical study versus leading multi-purpose solutions, lens wearers rated Clear Care cleaning and disenfecting solution higher than the competition for initial comfort, cleaning, overall comfort, and end of day comfort. 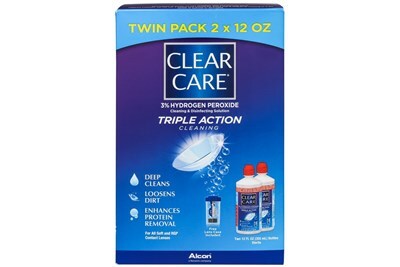 The Clear Care Triple Action Cleaning Solution features a formula with 3% hydrogen peroxide, which naturally removes debris and protein from lenses without exposing lenses to harsh chemicals found in many solutions. The solution actively bubbles to clear away dirt from both soft and RGP style lenses, leaving lenses clean and comfortable whenever you go to wear them. **This product uses 3% hydrogen peroxide which can cause a burning sensation when not used according to the manufacturer directions. Please read the label carefully when using Clear Care products.